The pedagogical approach and instructional design of ALPHA Mathematics is based on the best practices of top performing Singapore, Republic of Korea and Hong Kong. The approach and instructional design are proven to be effective in developing conceptual mastery and procedural fluency, and are crafted to enable the teacher and student to evaluate learning and identify areas of remediation, if needed. 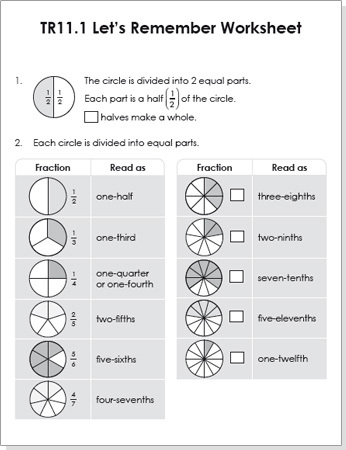 Mathematical knowledge is cumulative in nature and a Let’s Remember Worksheet in the Teacher’s Manual provides valuable feedback to the teacher on the need for remediation or readiness for new learning. 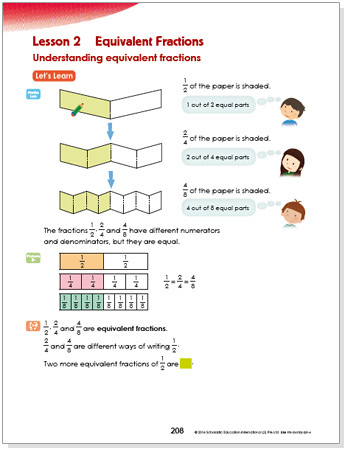 Information about the objective of each task, the precursor skill or concept tested and where it is taught in the Coursebook are also provided in the Teacher’s Manual. Items are systematically developed and varied to ensure full review of precursor concepts and skills. 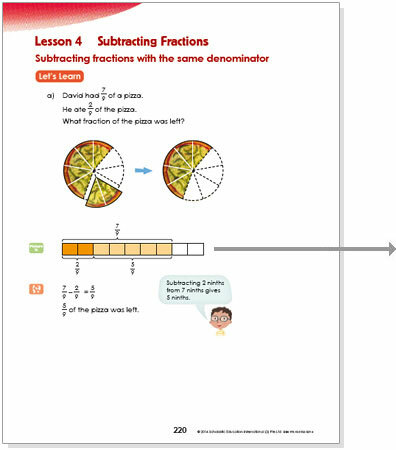 Precursor knowledge and mastery of comparison of unit fractions is required in order for students to learn comparison of fractions with common numerators or denominators. 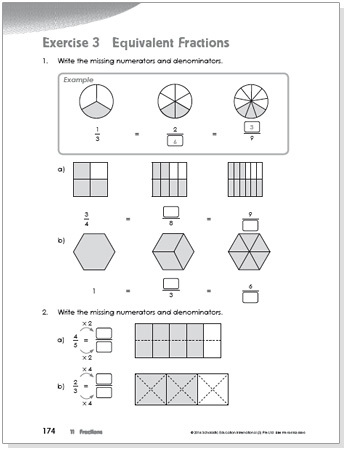 The 3-stage Concrete-Pictorial-Abstract approach to mathematics instruction and learning enables students to make connections between principles and symbols through concrete activities and visual representation, making mathematical understanding deep and long lasting. Concrete stage - Physical materials such as base ten blocks used in hands-on activities, designed to develop conceptual understanding. 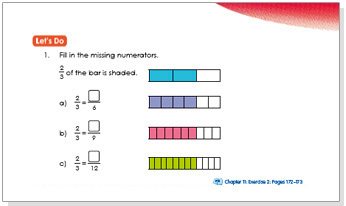 Pictorial stage - Visuals that represent previously used physical materials help students visualise concepts and connect mathematical ideas. Abstract stage - Numbers and mathematical symbols are used as final representations of concepts and skills. ALPHA Mathematics uses visuals and instructional scaffolding to ensure that students understand concepts and procedures instead of just memorising them and carrying them out in a rote manner. Conceptual understanding is developed through the use of concrete materials in a carefully crafted activity and the pictorial representation shows 3 wholes divided into 4 equally. Students understand the relationship between the concept of dividing a smaller number by a bigger number and the procedure for performing the operation. This is important for solving problems and for thinking creatively. Each chapter in the Coursebook comprises several lessons. 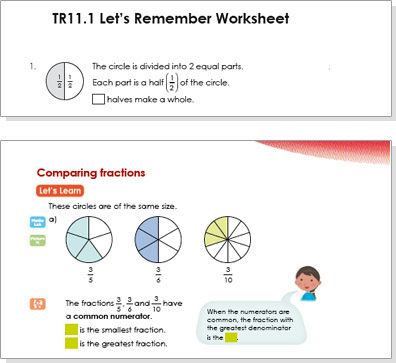 Lessons are structured in two parts: Let’s Learn introduces the concept and Let’s Do provides guided practice and formative assessment of the concept just taught. 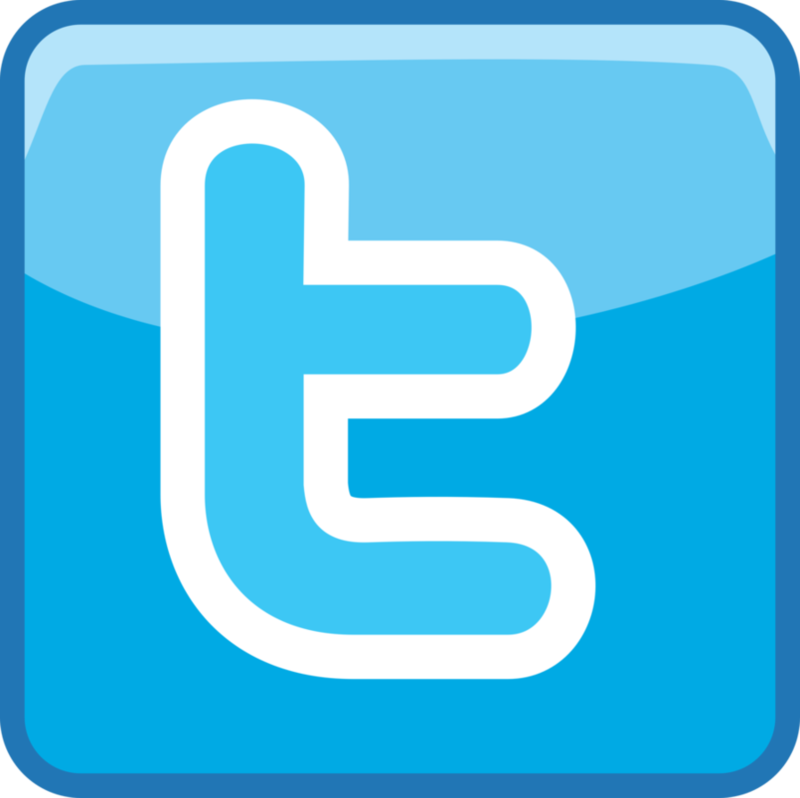 Practices at the end of each lesson help to consolidate learning. 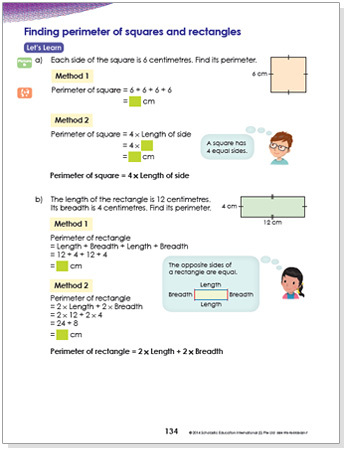 Concepts are taught in Let’s Learn using the Concrete-Pictorial-Abstract approach. Let’s Do provides guided practice and an opportunity for immediate formative assessment, enabling the teacher to immediately assess students’ understanding of the concept just taught and identify remediation needs. 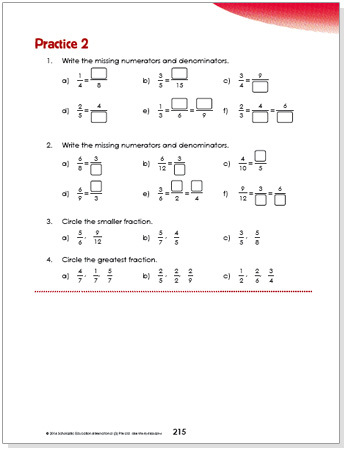 Practice at the end of each lesson consolidates learning and provides opportunities for summative assessment. 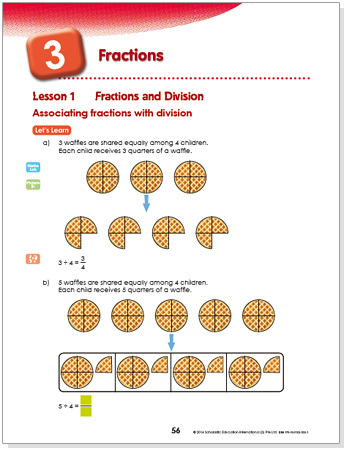 Practice Books are designed to complement and extend learning in the Coursebooks. Practice Book Exercises correlate to the learning objectives in the Coursebook and provide practice and formative assessment. Tasks are systematically varied to provide comprehensive practice.